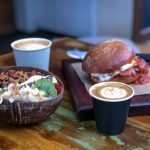 This little Goodness Breakkie recipe from Safya café is the perfect example of a classic Byron Bay breakfast. It’s full of goodness, it’s gluten free and it’s worthy remuneration after a spin up to the lighthouse, a salute to the sun or a splash in the morning surf. You might even say it’s a bit ‘pure’. 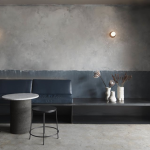 Safya, which translates as ‘pure’, is an Egyptian inspired restaurant on the corner of Bay Lane and Fletcher Street in Byron Bay. 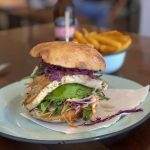 The menu is a delicious blend of Middle Eastern flavours and healthy contemporary eats that are absolutely du jour in Byron Bay. Safya’s recipes, like this Goodness Breakkie recipe, are free from preservatives and the ingredients are locally sourced, seasonal and organic wherever possible. Totally pure. Breakfast and lunch are served at Safya seven days a week. Dinner is also served from Thursday through to Sunday. 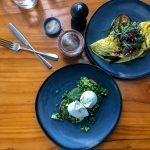 It’s a family-run restaurant and many of the traditional Egyptian recipes on the menu, such as the house made Mama’s Falafel, have been in the owners’ family for three generations while others, like this Goodness Breakkie recipe, are contemporary adaptations. 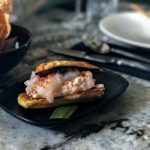 The Goodness Breakkie is a blend of traditional Middle Eastern flavours with a contemporary influence. There are a lot of layers, starting with warm quinoa as the foundation to which you add colour with cranberries, spinach and feta cheese and some crunch with toasted pepitas. The Goodness Breakkie is then dressed in a light, lemon and sumac dressing. The citrus freshness marries the quinoa salad ingredients and provides a gentle acidity that cuts through the golden poached egg yolks. A dusting of zatar to finish the dish gives the Goodness Breakkie recipe an earthy and warming finish. If you are enjoying the Goodness Breakkie in house at Safya, why not sip on a Moroccan Mint tea or house made kookie’s Kombucha to keep the healthy theme going and to aid your digestion. Or try the house specialty – the Tamr Hendi. It’s a cool drink made by massaging and infusing tangy tamarind with rosewater and rice malt syrup that’s then served over ice with rose petal and mint adornments. It has a sweet and sour profile that is delicious. Enjoy this Goodness Breakkie Recipe from Safya Byron Bay and then head down to their restaurant to sample some more of their Egyptian meets Byron Bay dishes. Gently combine the quinoa, pepitas, dried cranberries, feta cheese, English spinach and cherry tomatoes in a serving bowl. Add the dressing ingredients to a jar. Seal the jar and shake to combine. Lightly dress the quinoa salad and salt to taste. 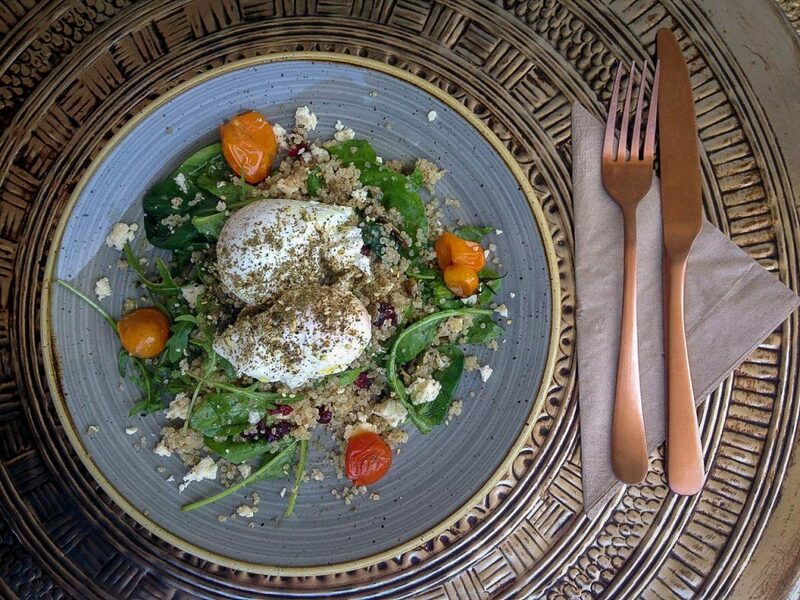 Prepare two poached eggs and serve on top of the quinoa salad. Drizzle of olive oil and dusting of zatar.